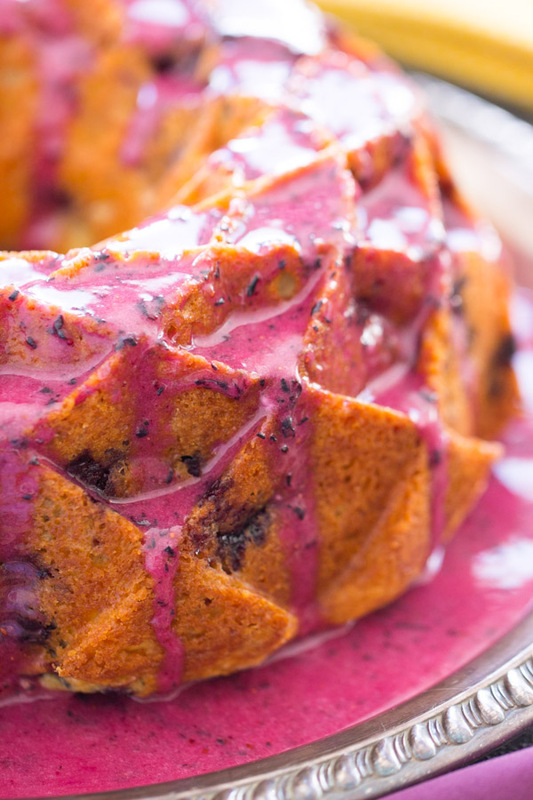 25 Easy Bundt Cake Recipes! 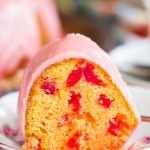 I’ve put together a round-up of 25 easy Bundt Cake recipes! They range from fruity cakes to serious chocolate-lovers’ cakes, and a bunch of boozy ones too. 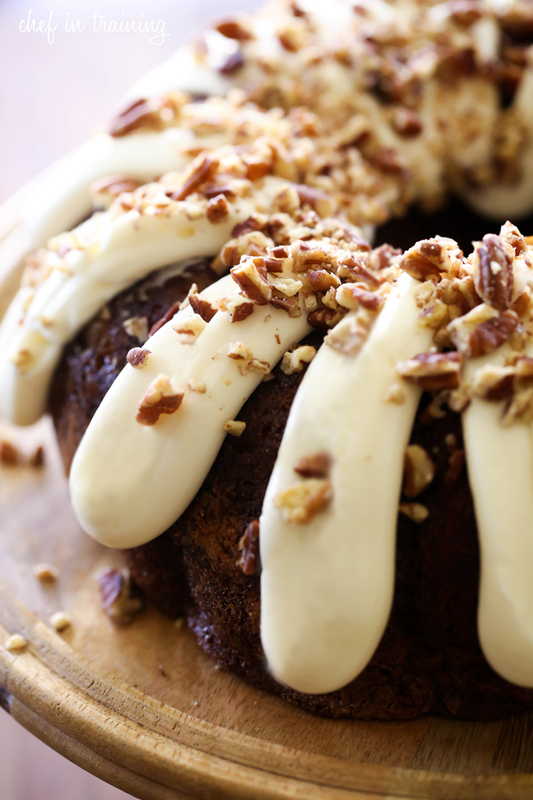 There’s bundt cakes for spring, some for summer, a few for fall, and some for ANYTIME. 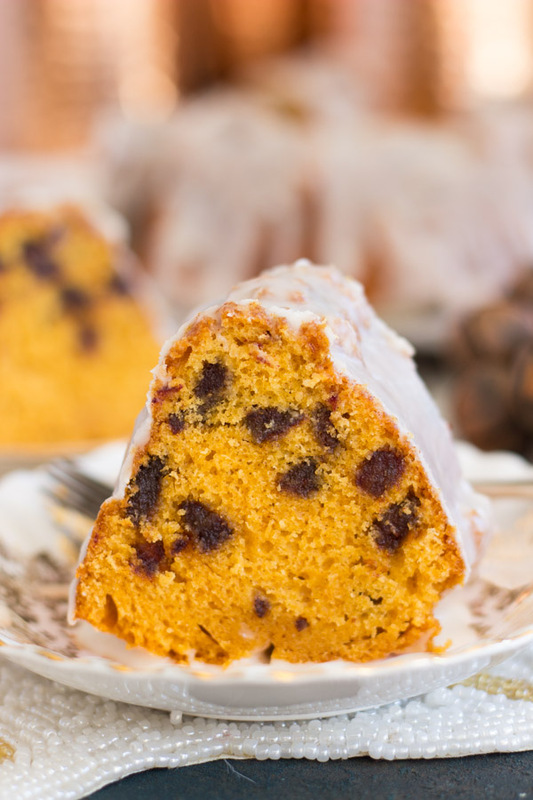 This collection of easy Bundt Cake recipes is essential! A comprehensive collection of easy bundt cakes for every season and holiday, or a dessert for no reason at all! 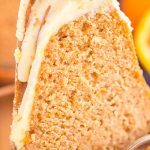 Since I’ve built up a good collection of bundt cake recipes on this site (unintentionally), I decided to embrace that fact, and I’ve put together a round-up of 25 easy bundt cake recipes! I have quite a few as it is, and a lot of you come here looking for them, but I have a lot of blogging friends, or blogs that I’m a huge fan of, with awesome and simple bundt cakes too. Here’s some of the best! They range from fruity cakes to serious chocolate-lovers’ cakes, and a bunch of boozy ones too. There’s bundt cakes for spring, some for summer, a few for fall, and some for ANYTIME. Scratch that – they’re ALL for ANYTIME! 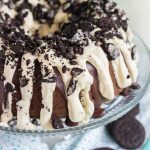 I’ve got you covered if you are looking for easy bundt cake recipes! 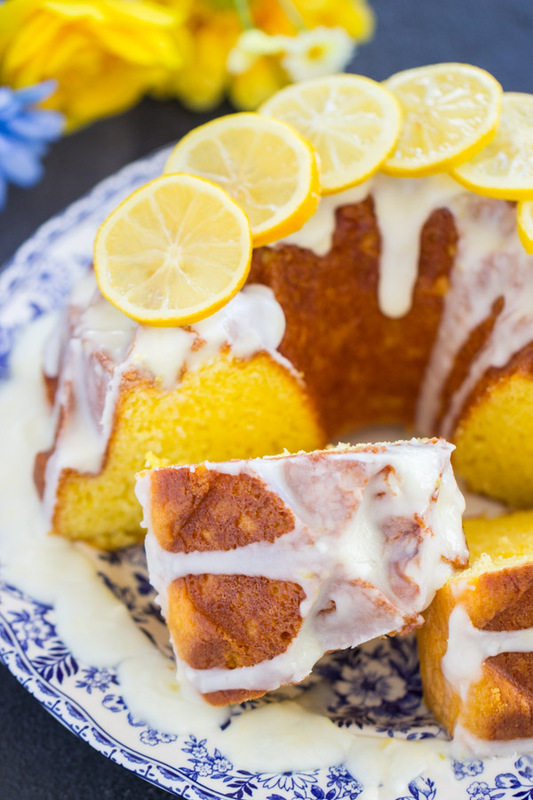 Lemon Bundt Cake: A lemon cake with fresh lemon glaze, and candied lemon slices on top, you cannot go wrong with this beautiful cake! Blueberry Bundt Cake: Simple white cake bursting with fresh blueberries, and drenched in a blueberry glaze! 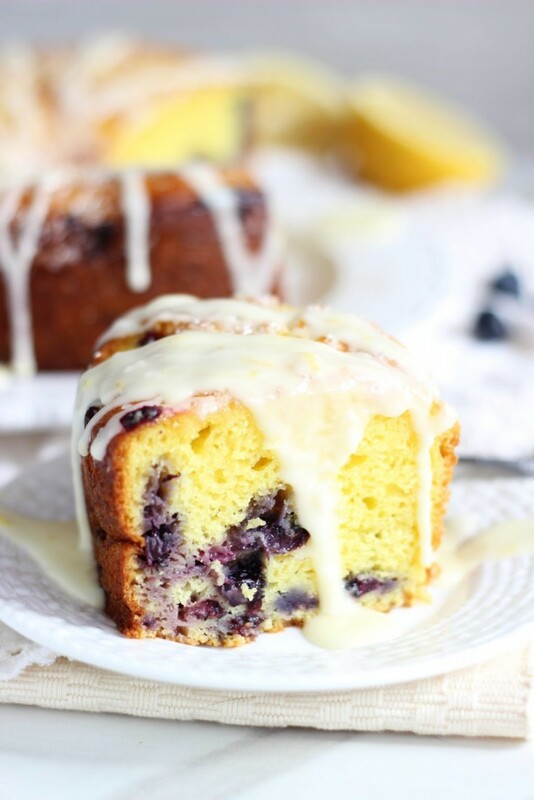 Lemon Blueberry Bundt Cake with Lemon Glaze: The best of both worlds – lemon and blueberry in one! 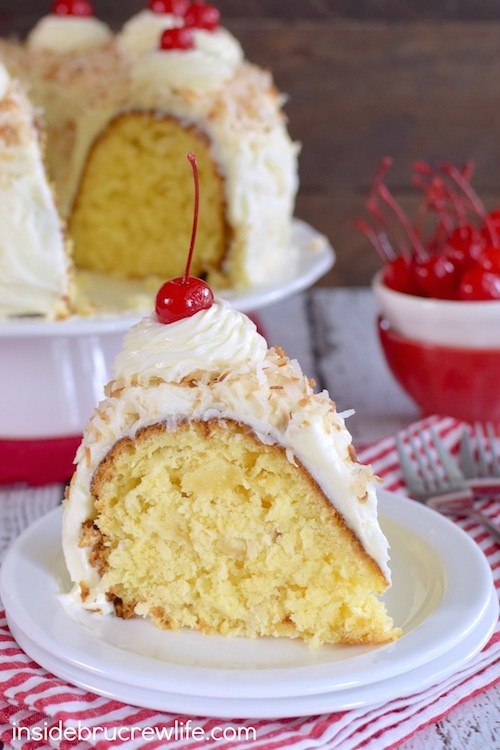 Pina Colada Bundt Cake from InsideBruCrewLife: With pineapple, coconut, and rum flavors, you’ll be transported to the tropics! 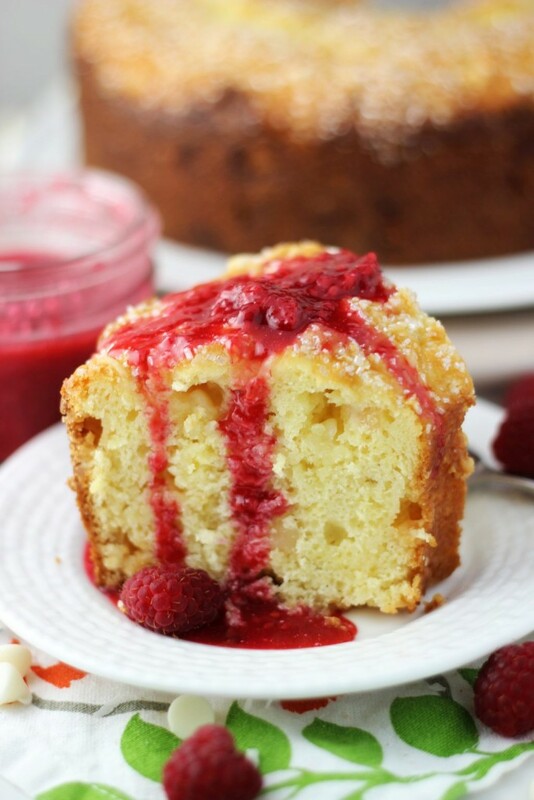 White Chocolate Macadamia Coconut Bundt Cake with Raspberry Syrup: The combo of flavors in this bundt is incredible, and it’s shockingly super easy to make! 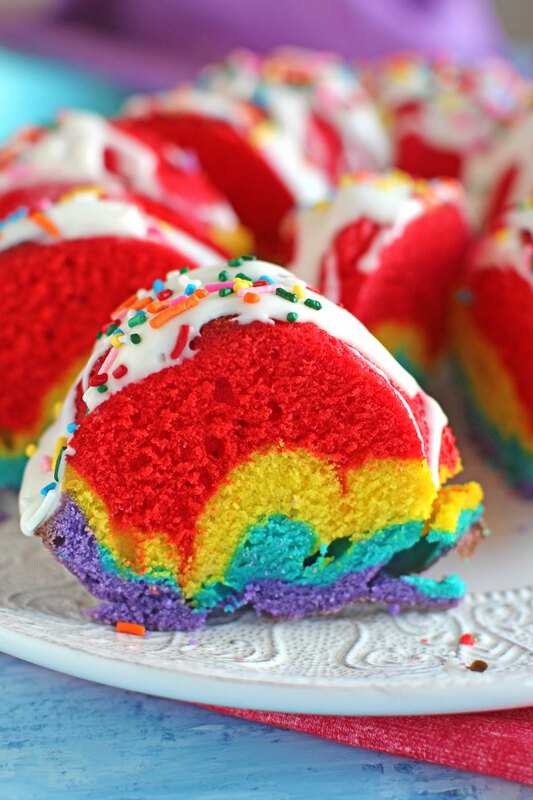 Rainbow Bundt Cake from Peas and Peonies. How vibrant and colorful! 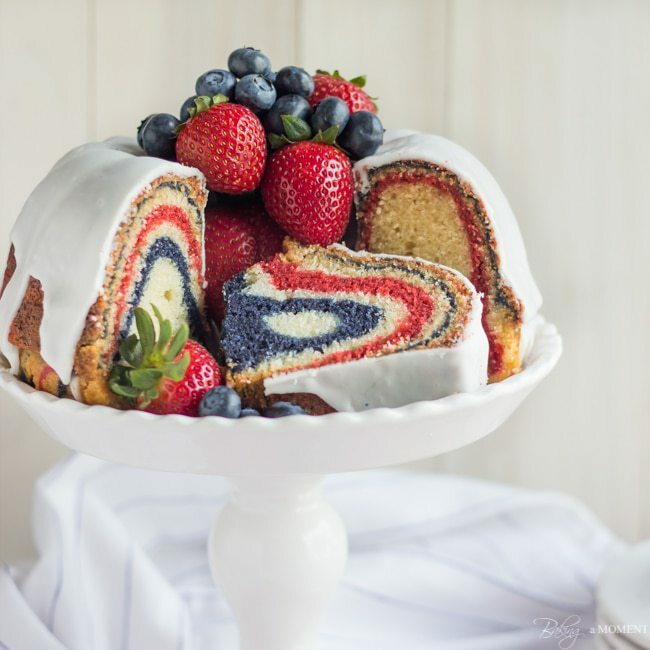 Red White and Blue Velvet Bundt Cake from Baking A Moment. Allie always thinks of the BEST stuff! This would be so fun for the 4th of July. 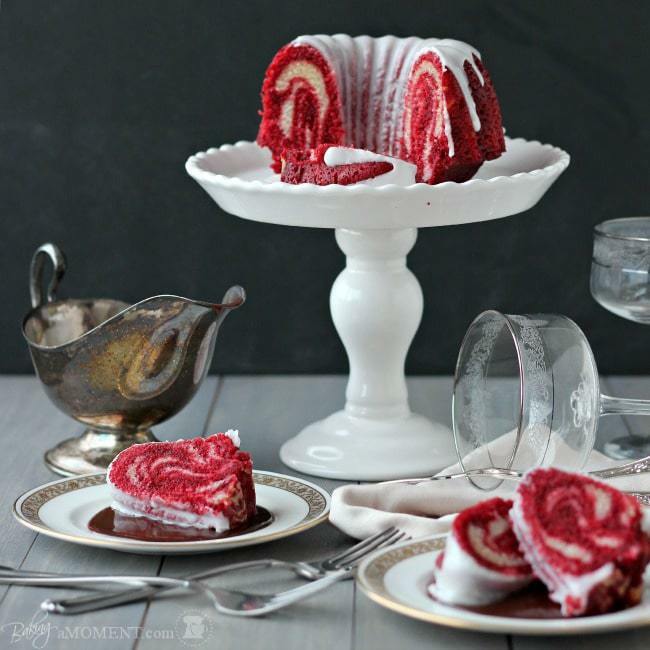 Red Velvet Zebra Bundt Cake from Baking A Moment. 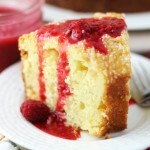 Moist buttermilk cake with a hint of cocoa, and warm chocolate sauce on top! 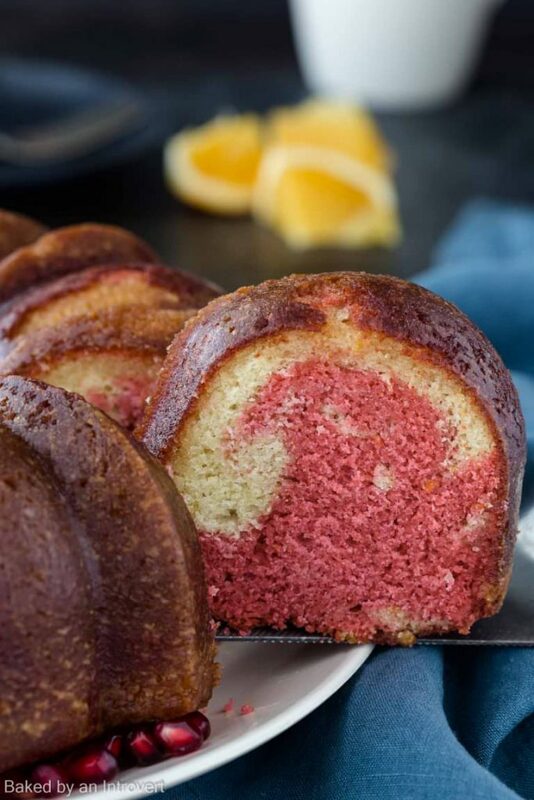 Red Velvet Bundt Cake from Gonna Want Seconds. It’s a classic! 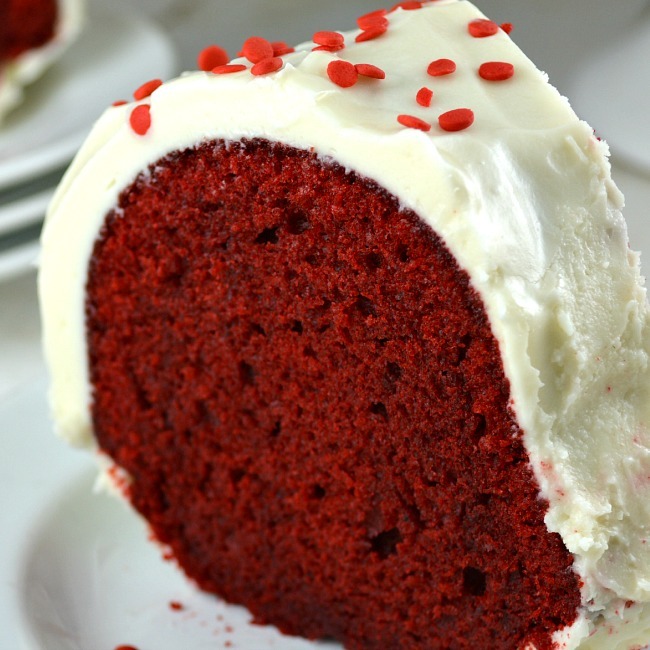 Everybody needs to have a good red velvet bundt recipe. This one is gorgeous! 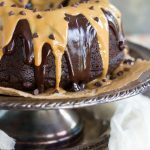 The Easiest Dark Chocolate Peanut Butter Bundt Cake: It’s so decadent, and who doesn’t love chocolate and peanut butter together? It’s seriously simple! 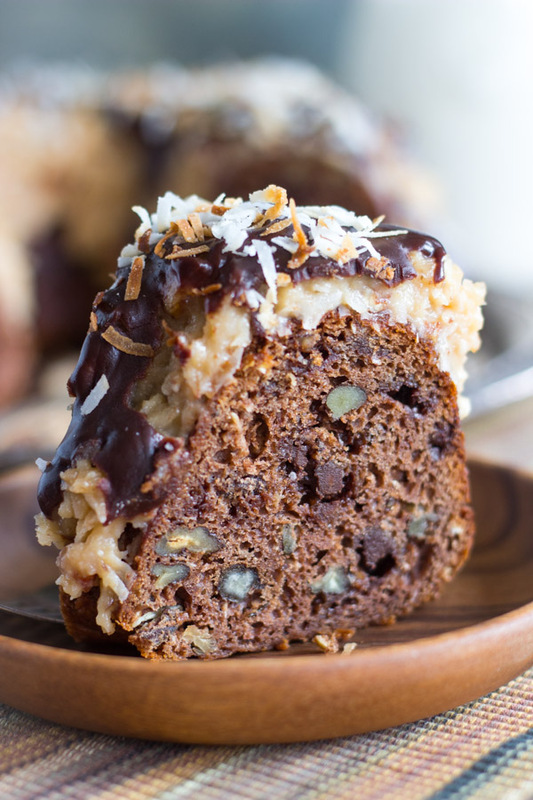 Easy German Chocolate Bundt Cake Recipe: The cake is chock-full of coconut, pecans, and chocolate, there’s a layer of coconut-pecan frosting, and then it’s topped with ganache too! But I’m telling you, this is EASY, and pretty quick too! 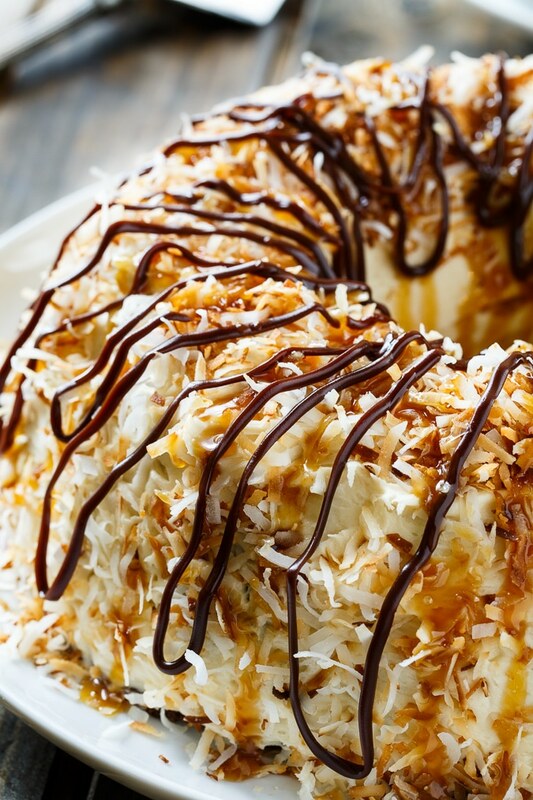 Samoa Bundt Cake by Spicy Southern Kitchen. It’s magnificent! Chocolate cake, caramel frosting, toasted coconut, and lots of chocolate and caramel drizzles. 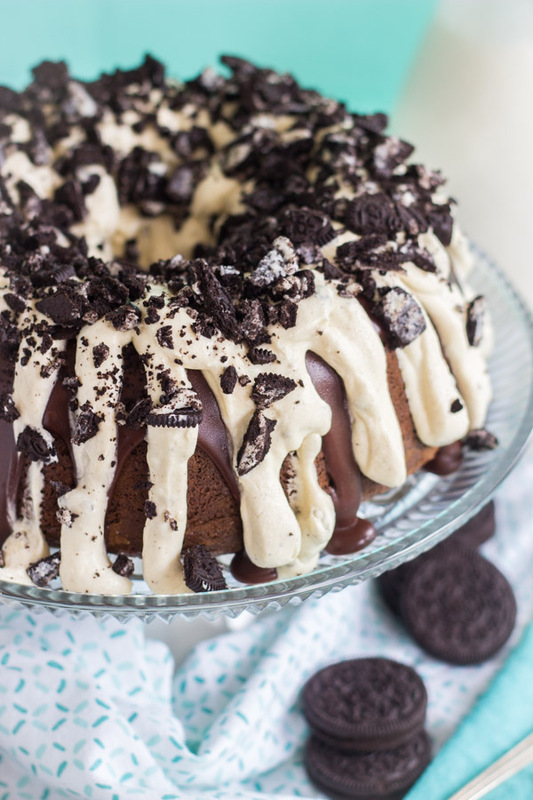 Oreo Bundt Cake: It may look like it takes work, but it’s a breeze! And it’s loaded with Oreos and cookies ‘n cream flavor! 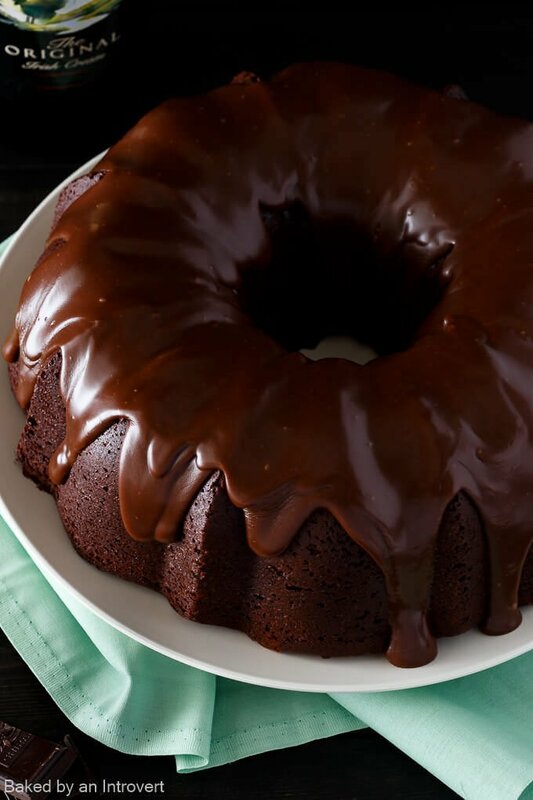 Triple Chocolate Bundt Cake from Dinner Then Dessert. Richest chocolate cake, made from scratch, with a layer of ganache, and some chocolate chips too! Chocolate Fudge Cake with Caramel Cream Icing from How Sweet Eats. 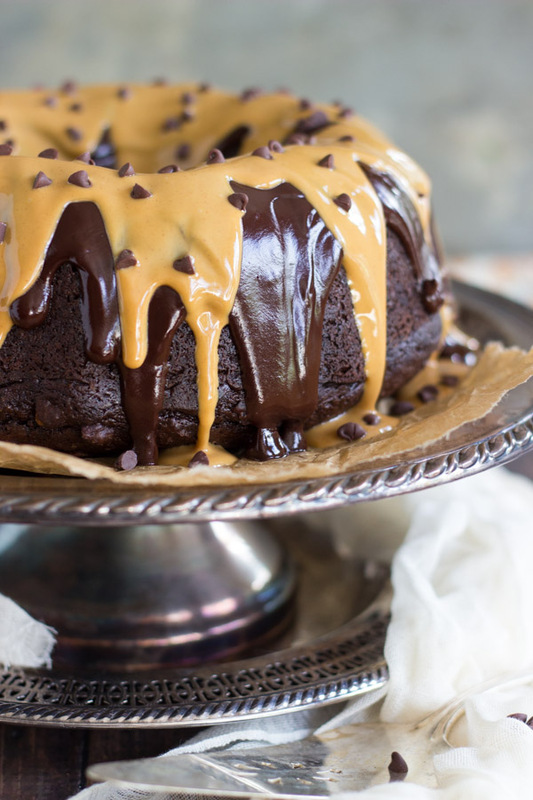 TWO layers of caramel cream, and a layer of dark chocolate ganache on this perfect chocolate bundt. Apple Walnut Cake from Go Go Go Gourmet. Loaded with apples, walnuts, and raisins… and with a sweet, simple glaze! 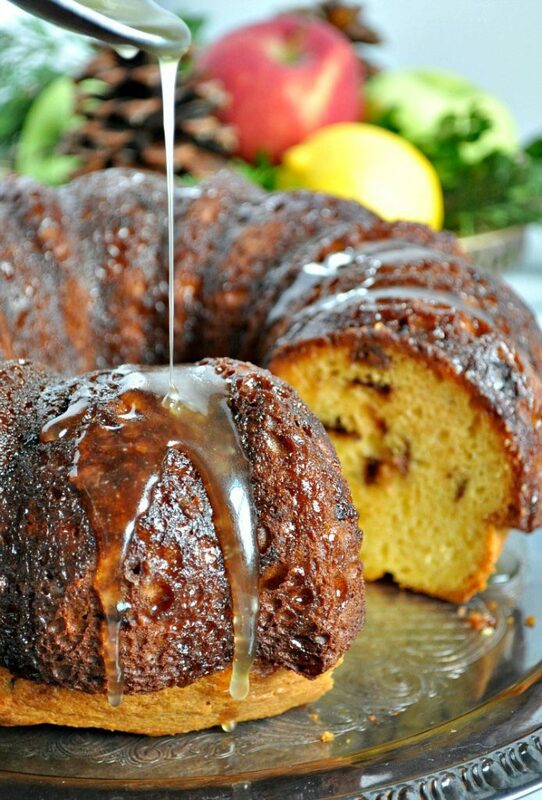 Apple Spice Cake with Maple Glaze from Cook with Manali. 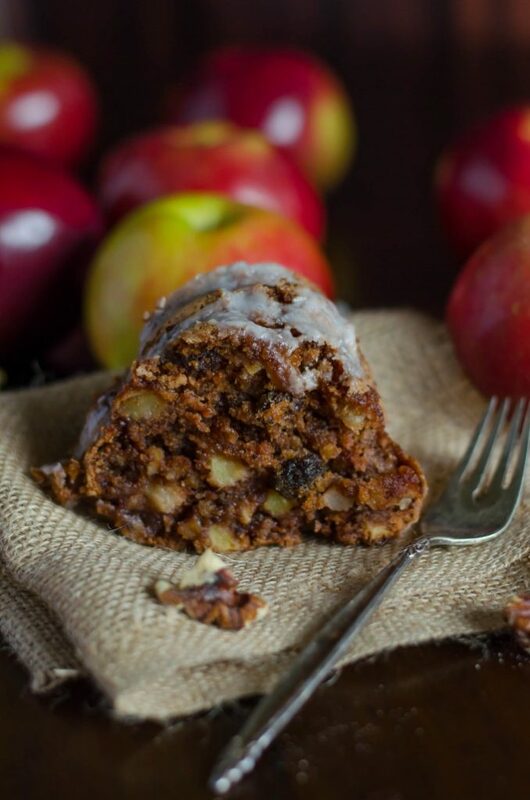 Moist, spiced, and loaded with apple. Maple glaze might be my most favorite glaze of all! Carrot Bundt Cake from Chef in Training. With lots of brown sugar, spices, pineapple, and carrots, plus a thick cream cheese frosting. The only way to top this cake! 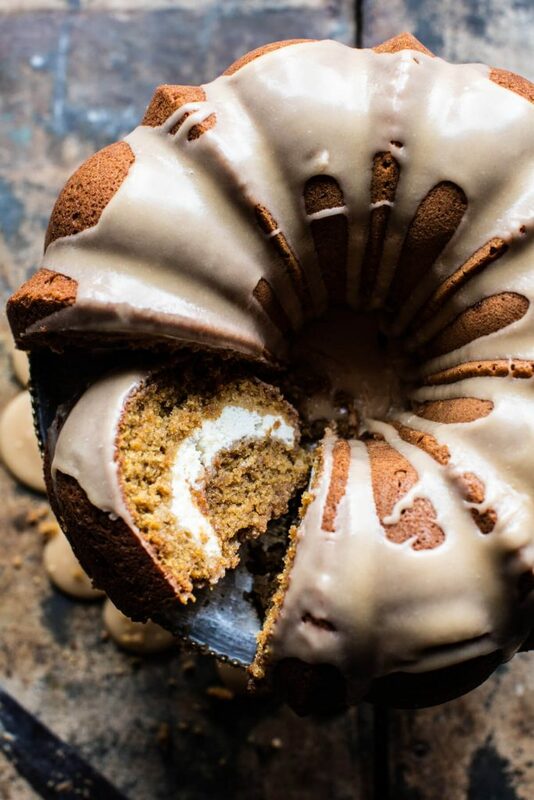 Cream Cheese Swirled Brown Sugar Pumpkin Coffee Cake from Half Baked Harvest. It has a cream cheese and streusel filling, and a brown butter-maple glaze. Wow. It’s got it all. To be honest, this one is probably not as easy, but you gotta know about it, and it has pumpkin in it. Yay. 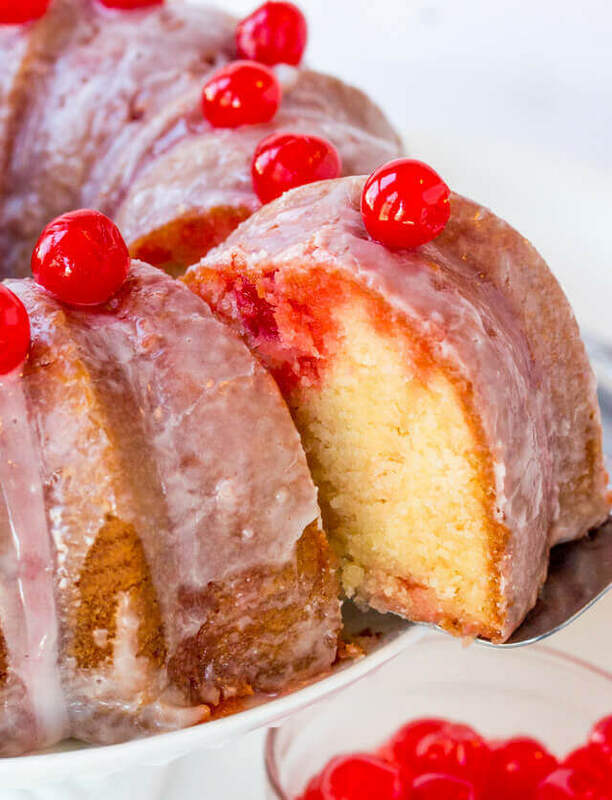 Shirley Temple Cake from Tastes of Lizzy T. Featuring 7Up and maraschino cherries, soaked with a lemon glaze! 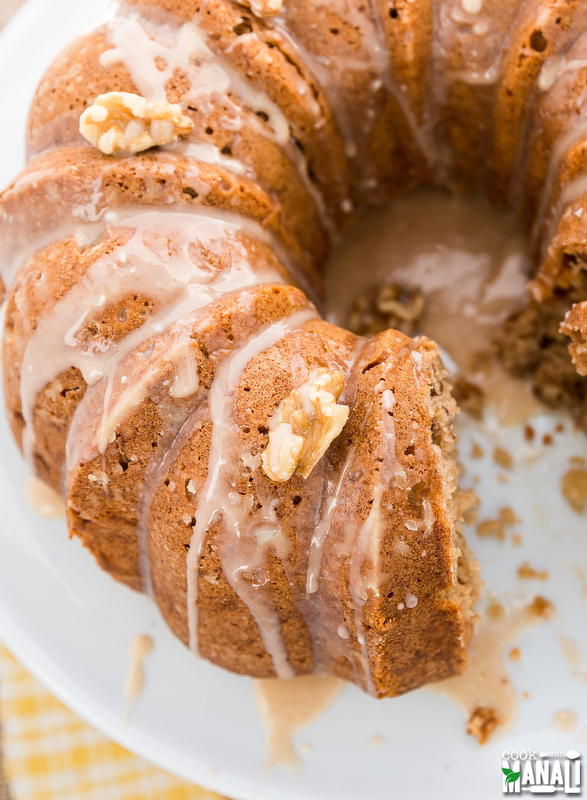 Whiskey Walnut Spice Cake: A spice cake bundt that’s spiked with Fireball Whiskey, and topped with a whiskey glaze! It is UNBELIEVABLY good, and really a cinch to put together. Buttered Rum Date Cake: Butterscotch cake, spiked with spiced rum, loaded with rum-soaked dates, and drizzled with a simple glaze! Chocolate Chunk Rum Cake from The Seasoned Mom. Warm rum-butter glaze – WHAT. And those melty chocolate chunks look sublime! 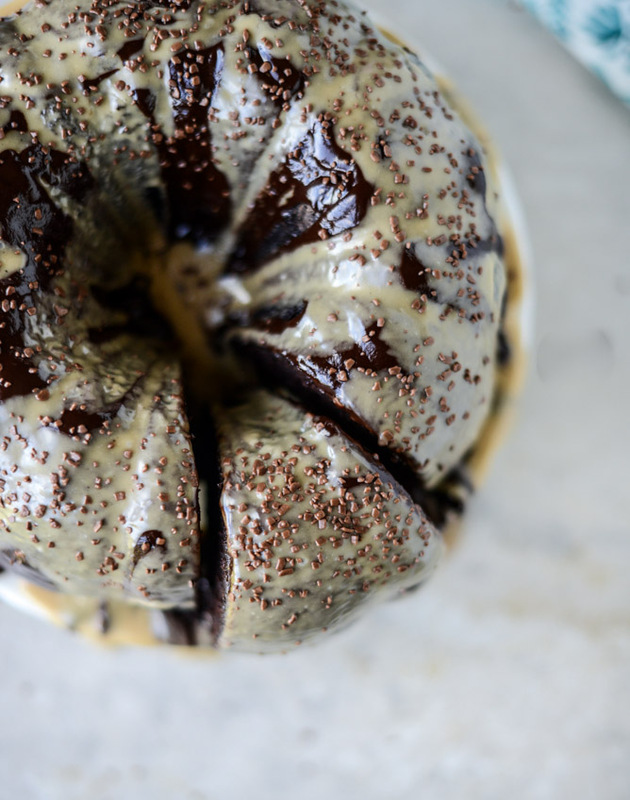 Irish Chocolate Coffee Bundt Cake Recipe from Baked by an Introvert. 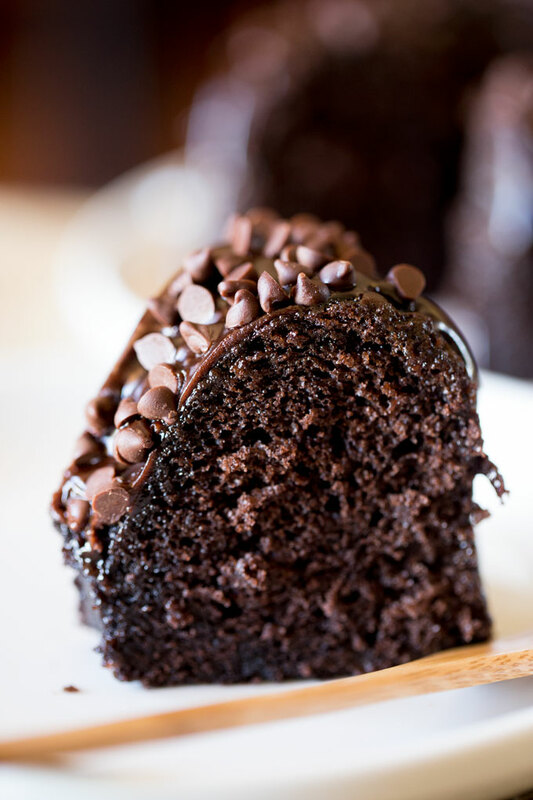 A double chocolate cake with rich chocolate glaze, a touch of coffee and it’s spiked with Irish Cream liqueur. Tequila Sunrise Cake from Baked by an Introvert. Tequila in the batter, and a sweet orange syrup on top of this orange and pomegranate cake. It’s so pretty and colorful too! 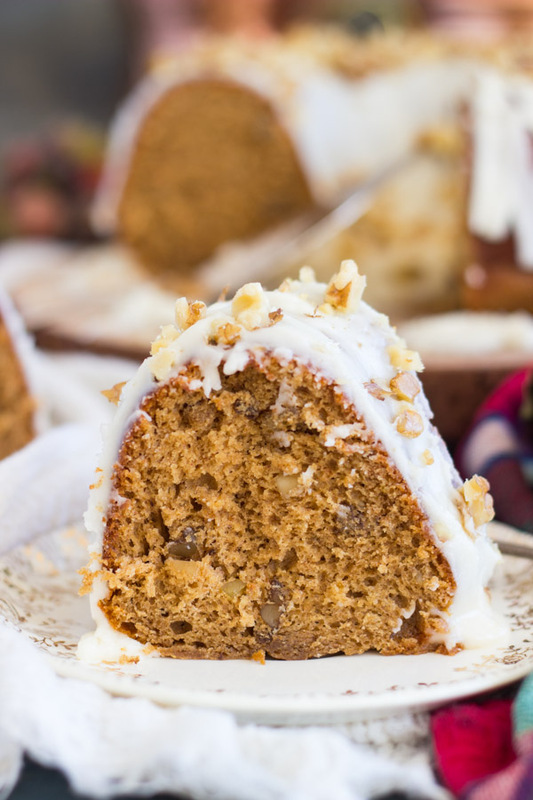 Updated to add this Cherry Amaretto Bundt Cake, this Sweet Potato Bundt Cake, and this Coconut Pistachio Bundt Cake! 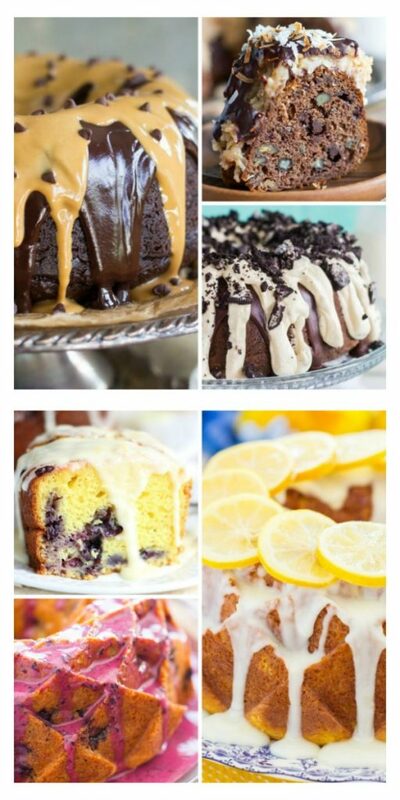 I just need you to know your complete set of options for easy Bundt Cake recipes.